It’s almost my birthday. Yay! I love my birthday! Cake, champagne, hiking, and my second annual health progress report! See, I’ve always used my birthday as a chance to check in with my life. To decide if I’m happy with where it’s going and what I’m doing with my one brief opportunity on this planet. Now that I’ve transitioned to a more movement-based life, it’s also an opportunity to say, hey, does this movement stuff actually work? The state of my body is a major piece of evidence and a major way to hold myself accountable. So has my last year of living helped me get healthier? Yes, for the most part, I’m in better shape than ever. There have been a few snags along the way, though. And that’s mostly because this past year has been a whole lot different than a normal year. Last February, Chris and I decided we wanted to make some major life changes. As in, really major. We decided we needed to leave the city and spend more time outdoors, moving, travelling, meeting people and living. It took a while to get all the details sorted out, but it’s meant that over the last year, we’ve renovated our home (mostly by ourselves), bought a Toyota 4Runner, and we’re now scheduled to move to our truck this August, 2018. We’ll be travelling around North America over the next year or so, and from there, who knows? So our plan is obviously going to change my movement patterns a whole lot (which is the whole point!). In fact, it’s already done that, because this last year has been bonkers. Zero days off, lots of new movements – from demo’ing walls to painting cupboards, and still regular walking and movement practice, but not as much as I’d like. Some of it’s worked for my body, and some of it hasn’t – here’s the whole scoop. One slightly random note – I haven’t had a single cold over the last year, and I used to get about 3 a year. Cool, hey? Walking: I walk almost every day, between 2-6 miles normally but as many as 7-11 less often. I seek out natural surfaces and hills on many of my walks, but I still mostly walk on flat and level pavement. Hanging: I hang almost every day – not as much as I’d like, but I spend at least a minute or two hanging most days, and some days more than that. I’m just getting back up to the point of more dynamic hanging and swinging because I took the winter off for renos. Daily life movement: I’m working on renovating our house and moving, so I carry, squat, reach and generally do lots of movement as a result. I also spend more time than before in cars, running errands. Gardening: Now that it’s summer, I spend about 15 minutes weeding and watering the garden every morning – squats and carrying for the win! Adding in extra exercises: I do lots of exercise-type movements in my daily life – like, right now I’m standing on a wooden dowel for balance and foot strength. Hard to quantify how much this adds up to though. Computer work: For computer work, I move back and forth between the floor and standing, varying my position and movement inputs both ways. I still spend way too much time on the computer and on my phone. Lifestyle: We sit on the floor for eating, working and hanging out – lots of floor-to-stand movements as well as pelvic floor and hips, knees, feet & ankles goodness. We sleep on the ground as well. Exercise: I do several hours of formal movement practice exercise-time a week – 4-12 I’d guess but it varies according to where my life is at. Usually more on the 4 end right now, unfortunately. 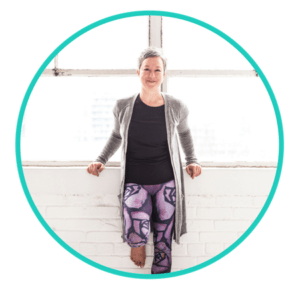 This is a combo of exercises that I do because they’re ones my body is craving, and online or live classes with Katy Bowman or another Restorative Exercise teacher, plus of course when I teach. Physio: I also do about 15-20 minutes daily of focused exercises for my specific issues – tongue, jaw, lips, feet and tennis elbow. What’s missing: Things I haven’t done as much as I’d like: resting; spending time outdoors, hiking, taken more focused movement classes, rock-climbing; live teaching. That’s all the good stuff the reno and moving plans have displaced. I got a second tongue tie release, from Dr. Souroush Zaghi of the Breathe Institute in LA. Overall, I’m pretty happy with where my body’s at right now. Fewer chronic aches and pains, more body awareness, and overall, more integrated movement in my lifestyle are all adding up – I feel like I’m on track to where I want to be. There wasn’t a big dramatic change after the tongue tie release but I feel like there’s been slow and steady improvement on all my body issues. Both the ones that seem related to the tie (sleeping, headaches, TMJ issues) and less so (my foot problem, some soreness in my left lower back that lurks around). I haven’t had as much formal movement practice as I would have liked. And leisure time has gone out the window – between the reno, planning the move, and working, we haven’t been taking much time off. When Chris and I do hang out, we usually go for a walk, which is a great way to both relax and move at the same time. But I am definitely longing for the day when I wake up and there is literally nothing on my to-do list. But on the other hand, doing the reno mostly ourselves has truly added a lot of movement – rather than exercise – to our lives. Although painting and reno-ing isn’t my favourite thing, there’s definitely a great sense of accomplishment that’s come from this, as well as lots of squatting and reaching! The second tongue tie release (in October, 2017) was really successful and now I’m able to keep my tongue where it belongs most of the time. The meant learning to move it without pulling my jaw around at the same time. I also learned how to lift up the back and middle and keep those parts lifted at rest. At night when I wake up, my tongue is living where it’s supposed to be. Symptoms like poor sleep, headaches and upper back tightness have all improved a great deal. But, I still clench my teeth at night and my jaw clicks. Apparently it can take over a year for all the tongue tie release changes to happen so I’m hopeful that more will change to come. Holding steady! It’s working great! No sneeze pee, no problems. Both areas getting stronger and more able. My lingering foot pain is definitely related to the rotations of my hips as well as the strength and mobility of my feet. Working on this with Cat, my awesome physio, was super helpful since it gave me focus, direction, and some fun new exercises. I can now say that my foot is 98% better, and when it does occasionally swell up and feel sore, I have a clear path forward to working on it. I still have lots of work to go in this area – both on maintaining neutral rotation at my hips and on foot strength and mobility. This is gonna be a long-term project. I continue to have lots of forearm tightness and limits in my shoulder range of motion. This is a tight area for me – the tongue tie probably has had a big impact on my upper body and shoulders-through-fingers, plus extensive computer work in my life. The reno really overloaded these areas – using a drill for the floors and doing a lot of painting meant that I heavily used very tight, unmoving parts of me – so the tennis elbow really wasn’t surprising. The constant demands of the reno also meant I spent less time working on my upper body than I would have liked. I especially wish I’d more chances to hang, climb and swing – hoping for lots of this living in the truck! I’ve been lucky enough to work with Cat, my physio, on the tennis elbow, and my forearms are now much stronger than before. The pain is still not 100% gone but I think it’ll get better over the summer once the reno work is over. I have some good new information and exercises for working on my shoulders and arms, and I’m looking forward to making them a priority over the next year or so. The numbness and nerve issues in my forearms are much improved, so that’s a big step forward. This year, I’ve noticed more subtle, deep layers of my movement habits. In particular, I’m more aware of where my body is during daily activities. Especially I’ve been noticing all the tension I hold in my shoulders, and a sneaky tendency to stand with my pelvis forward. I’ve become much more in touch with using the back of my body to initiate and sustain movement. My lats, my hamstrings and my glutes participate more in my daily activities, and I can access them more easily in exercises. I’m better at standing on one leg for long periods of time, and balancing on rollers and sticks. But I’m still pretty wobbly. I’m better at initiating a squat by untucking my pelvis. And I can squat for long periods of time while working on stuff – it’s very much become a resting posture for me. But, I still have lots to do keeping my hips and knees in line when I’m going up and down stairs – you’ll see it in the stairs video. Long term project. My upper back mobility and alignment has improved. And I’m better at pelvic listing but it’s still hard to keep my knee pits aligned and my feet and ankles stable. I’m a pretty bendy, wiggly type person – for me, it’s a real challenge not to just flop around all the time. However, I believe that ‘better movement’ means ‘spending more time under control’ instead of ‘lurching around and letting the ground hold you up’. So working on this is a big part of my practice. Here I am on the infamous Nutritious Movement Floating Stairs – 3 times over the last couple of years. Getting better, gradually, but I still have a long way to go. I think doing a lot more hill-hiking will really help on this. I’ve made some sacrifices this year in order achieve a bigger goal. It’s meant less time in nature, teaching and working on my movement practice and more time renovating the house. It’s a fair trade off because the goal is so good! I’m seeing slow but steady progress on all my lingering body issues. I’m really, really looking forward to seeing how a massive lifestyle change impacts everything. I’m hopeful that MUCH more time in nature, with decreased stress and more varied movement inputs is going to help me get even more improvement. I’m especially looking forward to seeing how my feet look after a year of being (mostly) barefoot outdoors! I expect to see continuing progress in my strength and control in movement, and in my personal body awareness. We aren’t planning to bring any kind of chairs with us in the truck so that’s going to be interesting! And I’m hoping to take up slack lining and do some outdoor rock climbing, as well as doing as much hiking and outdoor movement as possible. I may even do some mountain biking, because sometimes it’s fun to have a change. I’m ABSOLUTELY going to be teaching movement, both online and in person as we travel. If you aren’t already on my newsletter, make sure you sign up so you can get all the updates (and maybe even meet up when I come through your town!). So excited for you. I have had the pleasure of watching you grow in your movement practice and teachings and expect more great things to come. I have seen your body, especially your arms, change significantly over the past 2 years so I know this movement stuff really works. Looking forward to reading year 3 report. Now to do my own self evaluation. I love getting some independent confirmation from you 🙂 Hugs! Happy Birthday Petra! So very very much to celebrate! thank you so much! there really is! Thanks for your realness and honesty Petra. It’s nice to know that even movement teachers need help with their movement and their bodies aren’t perfect, they still have pains and mobility issues and can get injuries and work through them. So many “authorities” out there don’t really talk about what they deal with personally so it’s nice to see a real person going through the process like the rest of us. Congrats on all the great changes and the new fun adventures coming your way! I personally think that most movement teachers get into it because they needed extra help in the first place 🙂 And of course I’m a modern human impacted by modern environments and movement habits and cultures and lots of dumb choices I made when I was younger – or if not dumb, at least not as wellness focused as they might have been if I’d made them today. Such as my super high lawyer heels! I love movement and I do think it’s necessary and helpful for all bodies, but it’s not a quick fix or a magic bullet and I think it’s important to recognize that! Plus there’s always so much to learn and from so many different perspectives – I think it really enhances my journey and that of my students when I learn more! and thanks so much for your kind wishes! We are excited to start!